Guru Amar Das was the third of the ten Gurus of Sikhism. This biography of Guru Amar Das provides detailed information about his childhood, life, achievements, works & timeline. Guru Amar Das was the third of the ten Gurus of Sikhism. He was initiated into Sikhism quite late in life and had spent the major portion of his life as a staunch Hindu. His parents were both God-fearing pious Hindus and he followed in their footsteps to grow into a religious Hindu himself. Spiritually inclined from a young age, Amar Das was known for his gentle nature and peaceful demeanor. He was already an elderly person in his sixties when he heard the daughter of Guru Angad Dev sing hymns of Guru Nanak Dev. The hymns touched his soul and he immediately went to meet Guru Angad. Even though the guru was much younger than he was, Amar Das decided to become his disciple and served the guru with utmost dedication inspite of his advanced age. The guru was very impressed with the simplicity, hard work, and wisdom of his disciple and named him his successor. As the leader of Sikhs, Guru Amar Das composed several hymns, worked for the betterment of women, and strengthened the Langar system. Guru Amar Das was born on 5 May 1479 in Basarke Gillan, Amritsar, Punjab, India. He was the eldest son of Tej Bhan a farmer and trader, and of Mata Lachmi. 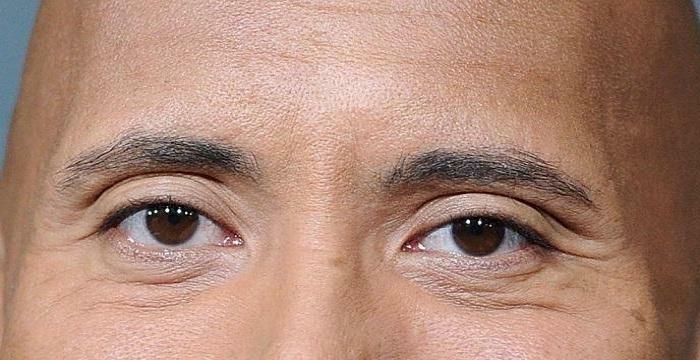 His parents were staunch Hindus and vegetarians. Following in their footsteps, he too grew up to be a religious minded Hindu. Like his father, he too became a trader. 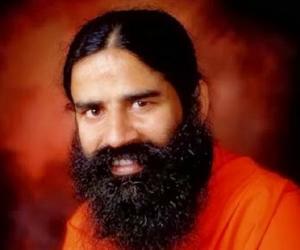 As a religious Hindu he often used to visit temples to pray and participated in religious rituals with much sincerity. He regularly went on pilgrimages to Haridwar and Jwalamukhi. One day when he was in his early sixties, he heard Bibi Amro, daughter of Guru Angad Dev, singing some hymns of Guru Nanak Dev. Bibi Amro was married to one of Amar Das’ relatives. He often heard these hymns and was intrigued by them. So he enquired about them and came to known of Guru Angad Dev. 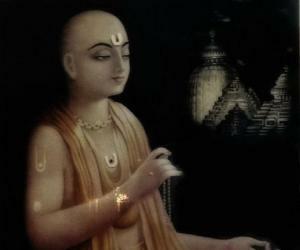 He was so influenced upon learning about the guru that he made up his mind to visit him. After meeting Guru Angad Dev he became a devout Sikh and decided to devote the rest of his life in service of the guru. 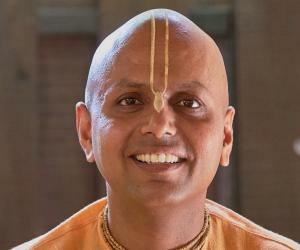 He actively began serving the guru and participated in community services. Even though he was an elderly man now, he rose early in the mornings and performed hard physical works. So immersed was he in his devotion that he totally lost his ego and pride in the service of the guru. He took a special interest in the system of langar or community kitchen, and encouraged everyone—irrespective of the religion or caste—to partake the community meal. His commitment to the Sikhi principles and dedication towards spreading the knowledge of Sikhism greatly impressed Guru Angad Dev who named him his successor. 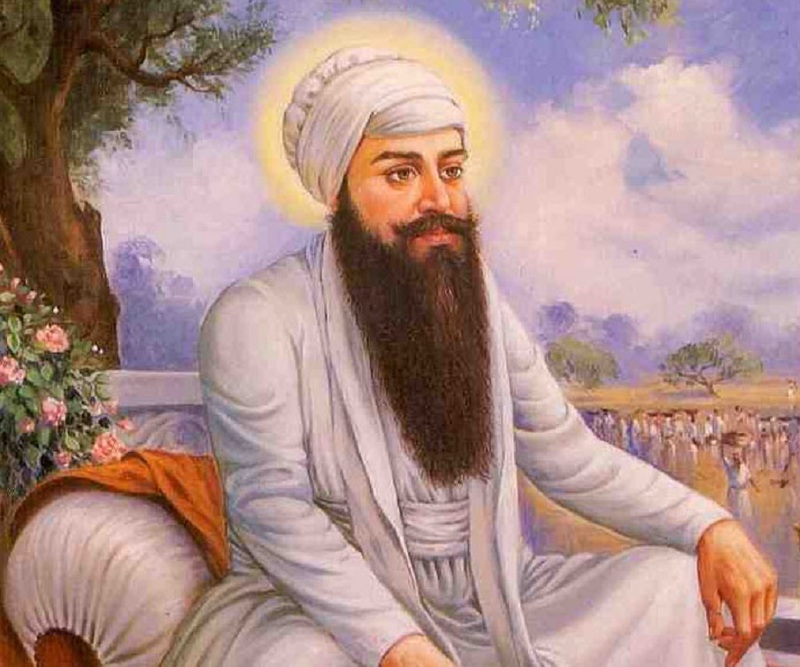 Guru Angad Dev died on 29 March 1552 and Guru Amar Das became the spiritual leader of the Sikhs. He made his headquarters at the newly built town of Goindwal, which Guru Angad Dev had established. Soon large numbers of devotees flocked to meet the new guru and seek his blessings. However, one of Guru Angad Dev’s sons, Datu, proclaimed himself the true guru. 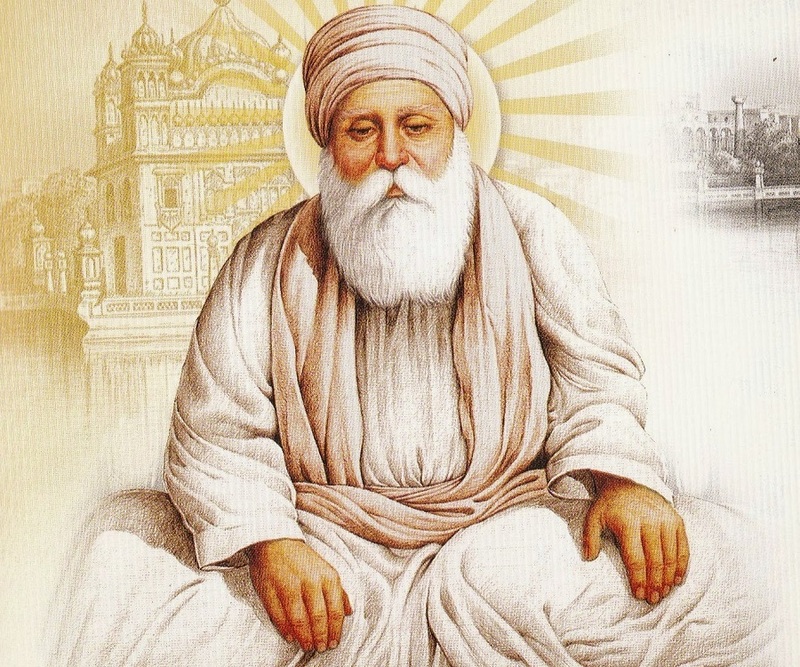 He became so jealous of Guru Amar Das that he confronted him in front of the followers and kicked the aged guru so hard that he fell to the floor. But Guru Amar Das did not say anything. He simply went away from Goindwal and returned to his native village. Shocked at the happenings, a group of faithful Sikhs went to his village and requested him to return. Thus Guru Amar Das returned to Goindwal and assumed his responsibilities as the guru. Guru Amar Das strengthened the langar system. Everyone, irrespective of religion, caste, or social status had to first share a meal at the community kitchen with others before being granted an audience with the guru. Emperor Akbar also ate at the langar before meeting the guru. Guru Amar Das worked hard to spread the message of Sikhism and started the Manji and Piri system for this purpose. He appointed 94 men as Manji and 52 women as Piris, whom he sent to preach the tenets of Sikhism to the masses. A prolific writer, he composed several hymns of which 907 are included in the Sri Guru Granth Sahib. Guru Amar Das is best known for starting the Manji (male Sikh preachers) and the Piri (female Sikh preachers) system for spreading the teachings of Sikhism among the masses. The Manjis and Piris were accorded authority to teach the principles of Sikhism to other men and women respectively. The system was further developed by seventh Sikh Guru Har Rai by establishing additional 360 Manjis. Guru Amar Das was married to Mata Mansa Devi and had four children with her. He chose his disciple Ram Das as the husband for one of his daughters. He lived a long life and died at the ripe old age of 95 on 1 September 1574. Before his death he named his son-in-law Ram Das as his successor.